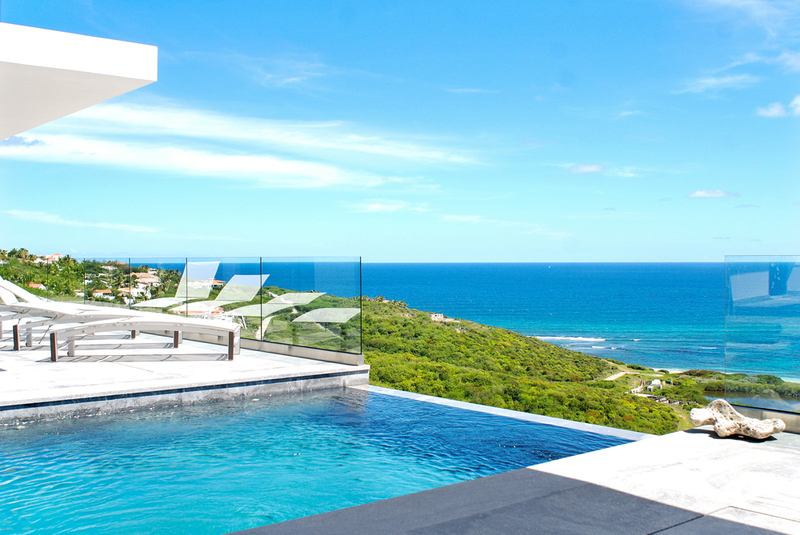 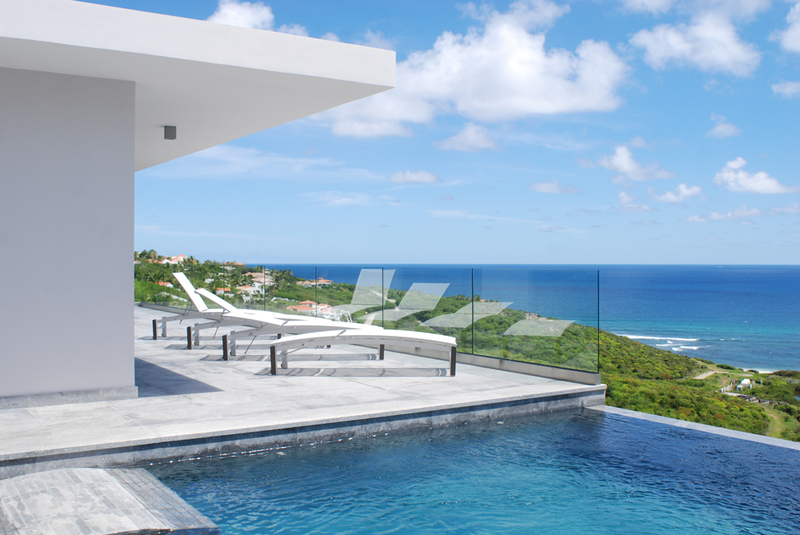 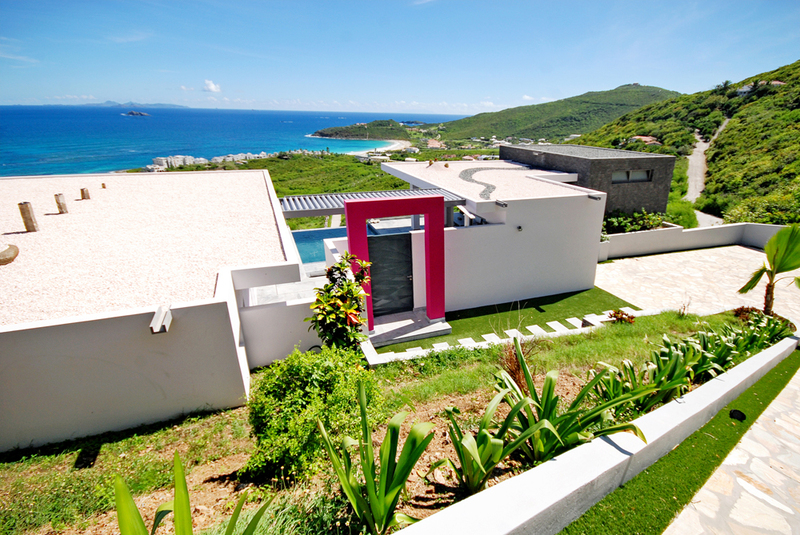 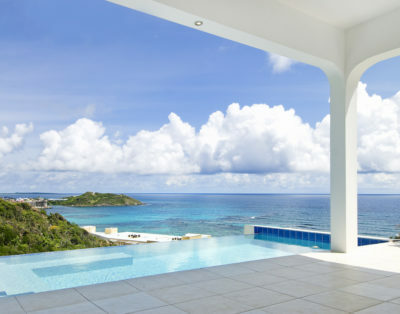 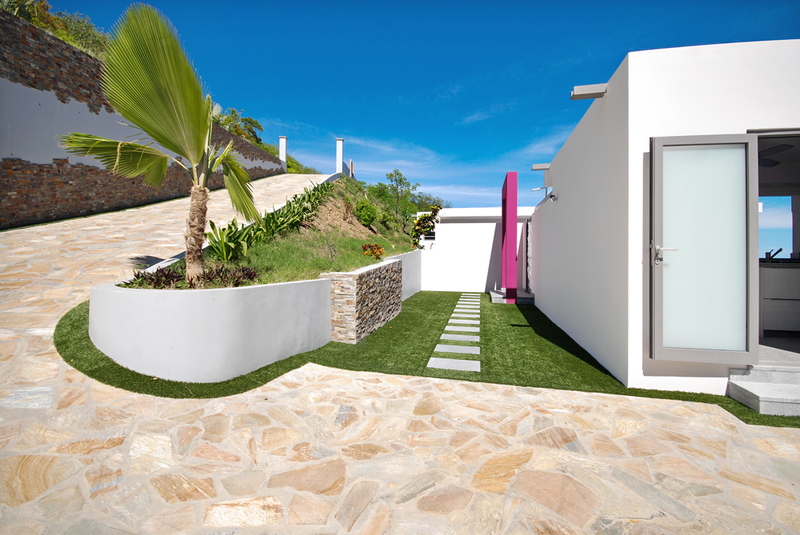 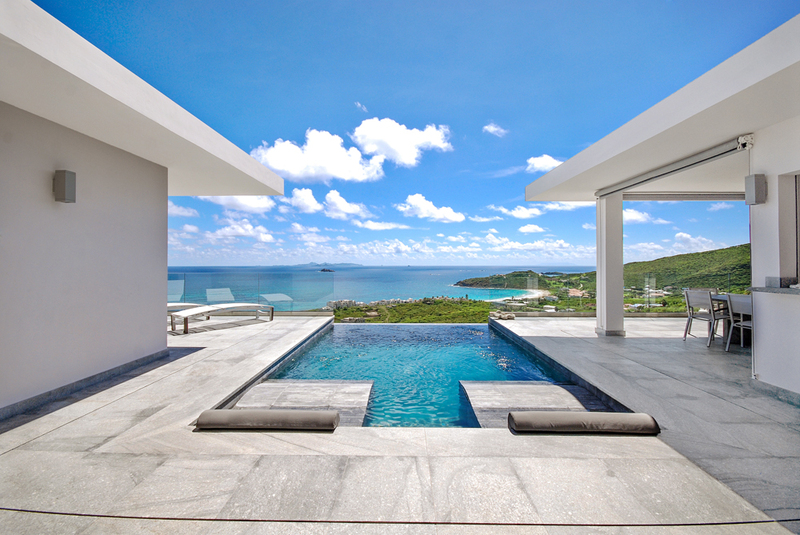 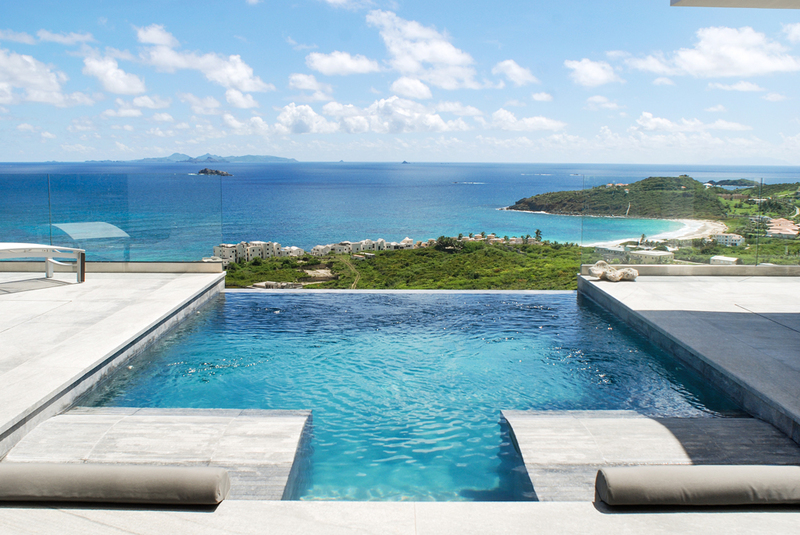 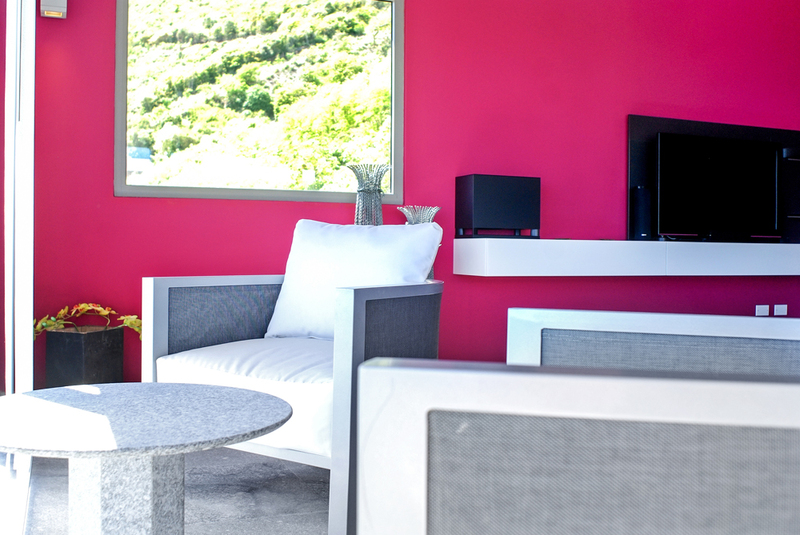 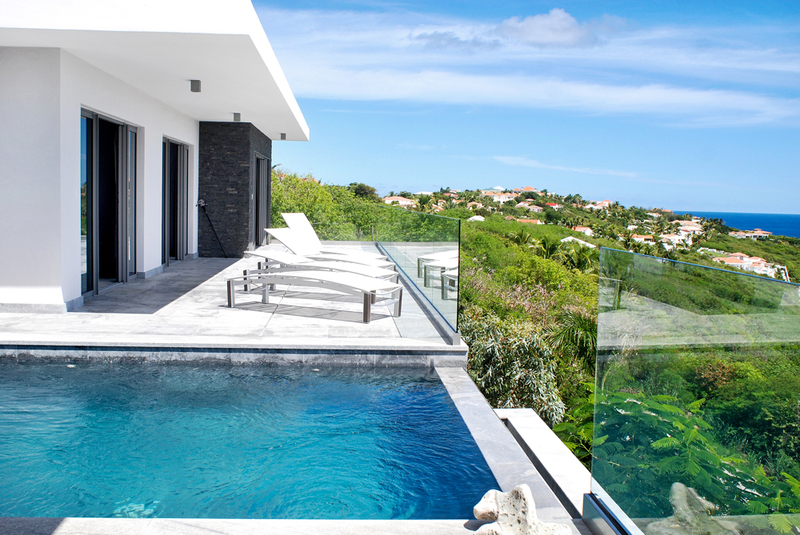 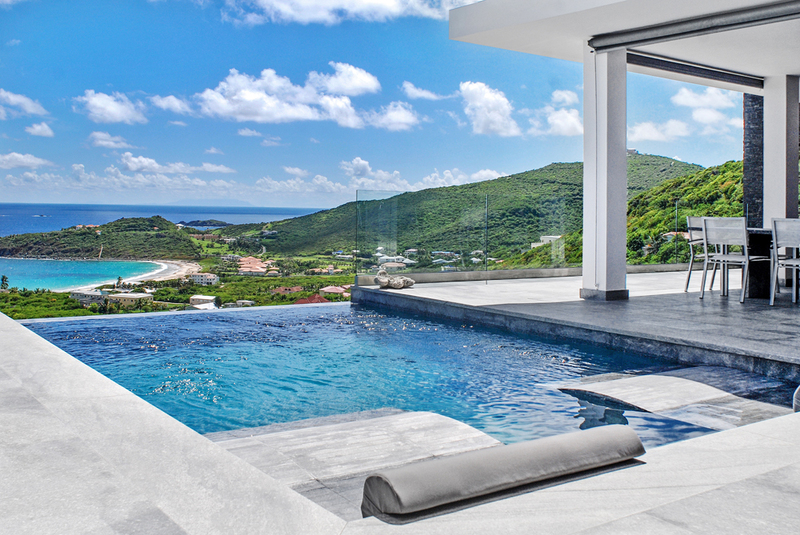 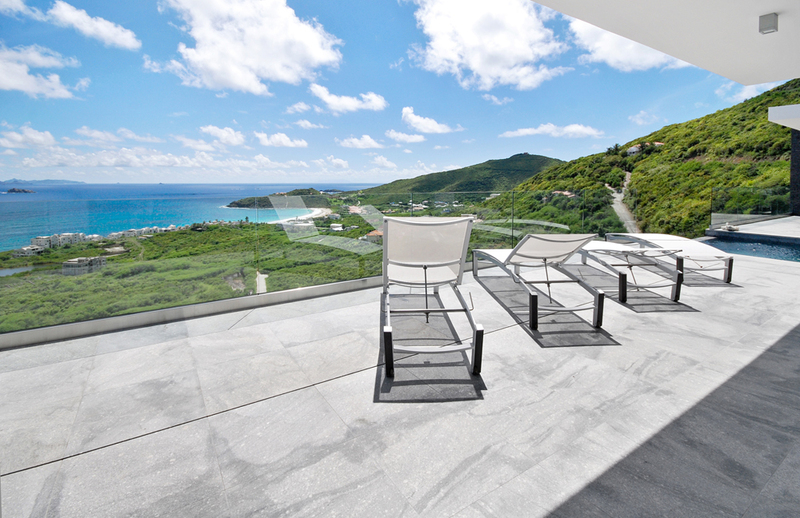 The villa, built in 2012, is a modern villa offering fantastic views of the Atlantic Ocean and island of St. Barths in the distance. 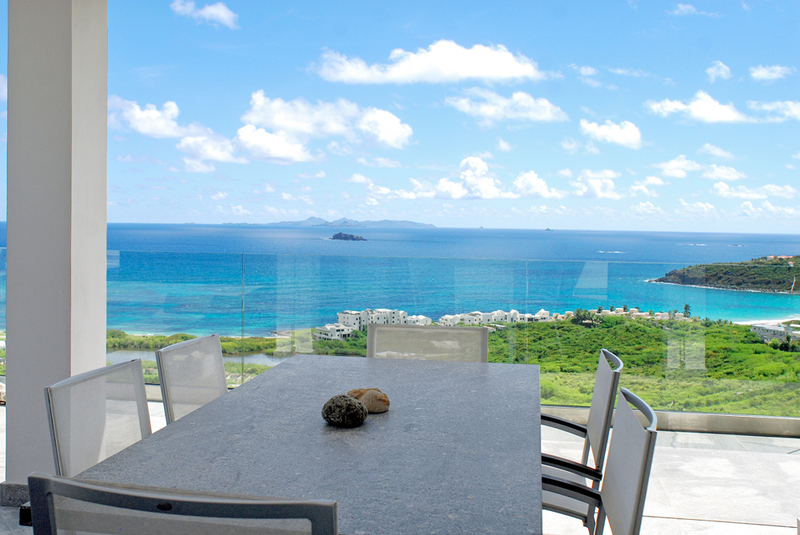 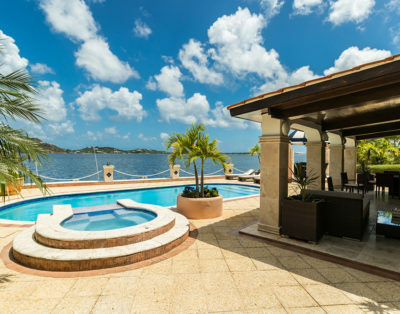 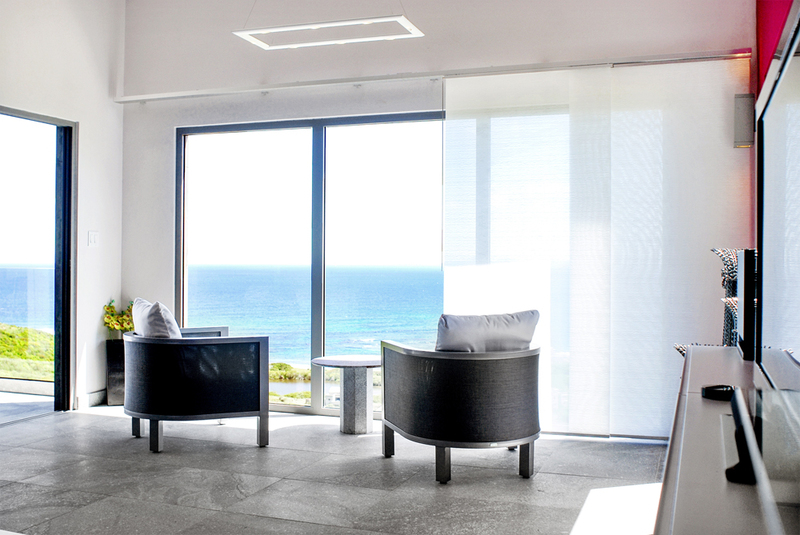 From every room of the house you are facing nothing but the ocean…You will see spectacular sunrises from this villa. 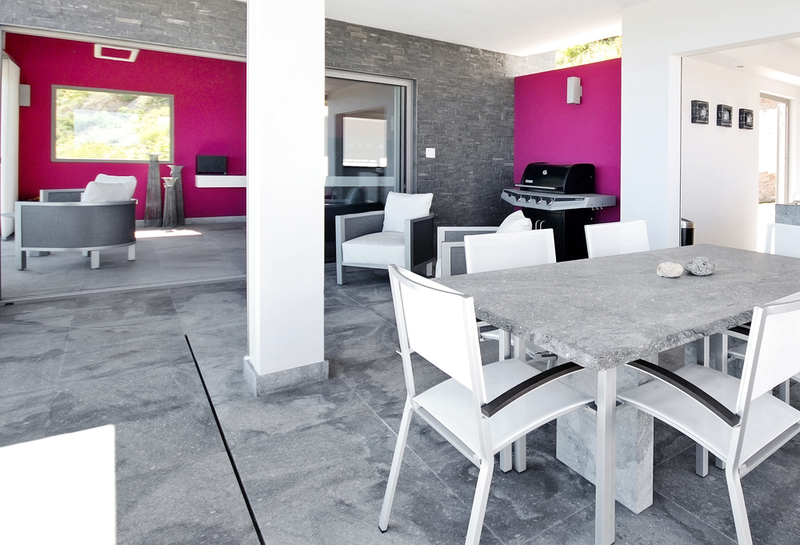 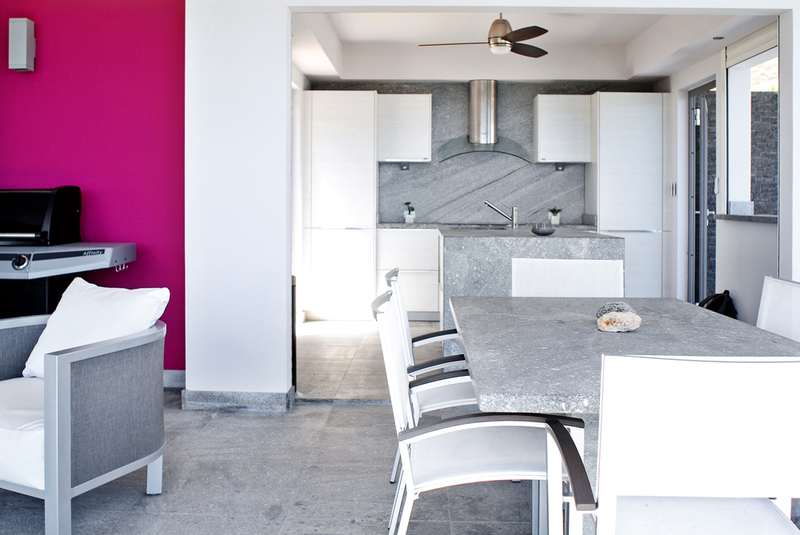 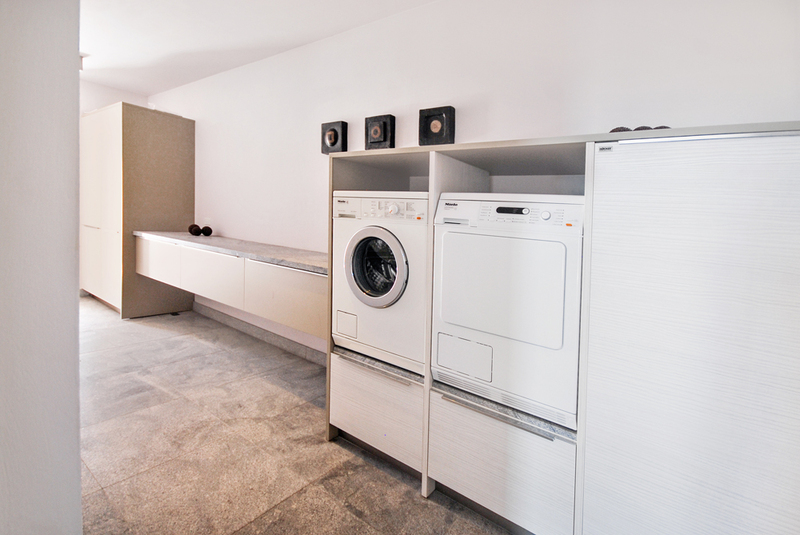 The whole villa is in “Blue Fantasy” granite with the flamed finishing in the kitchen and the laundry area. 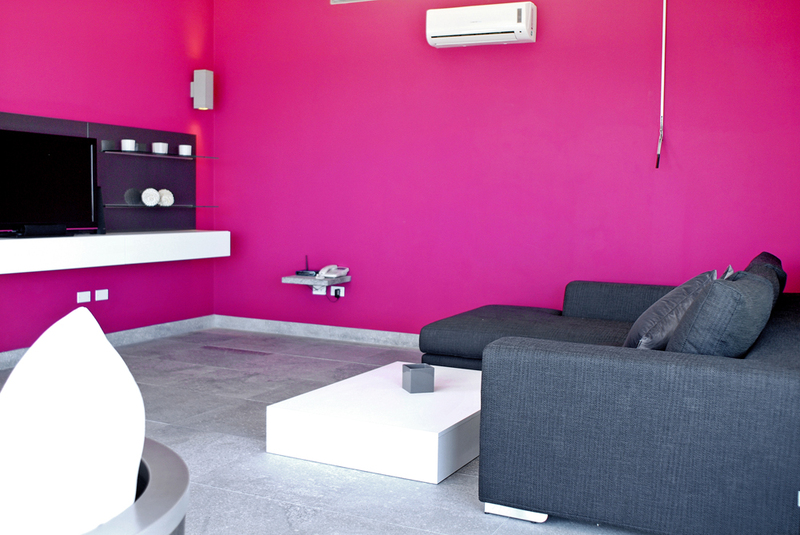 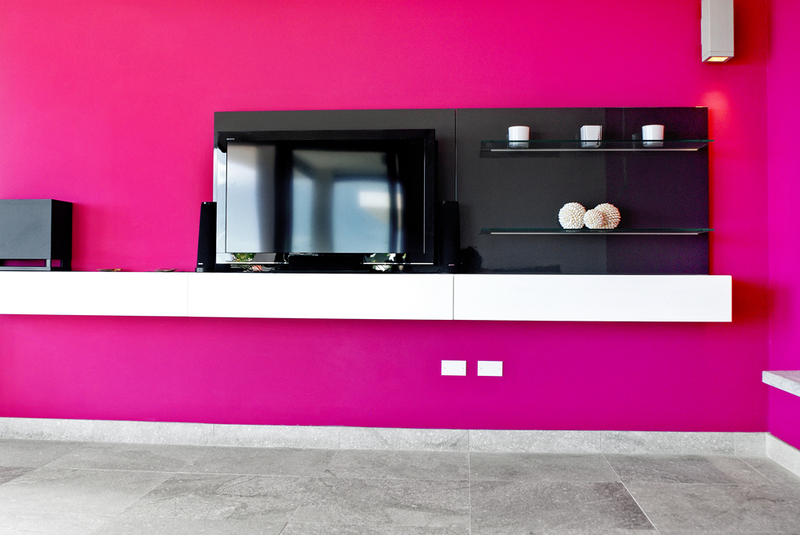 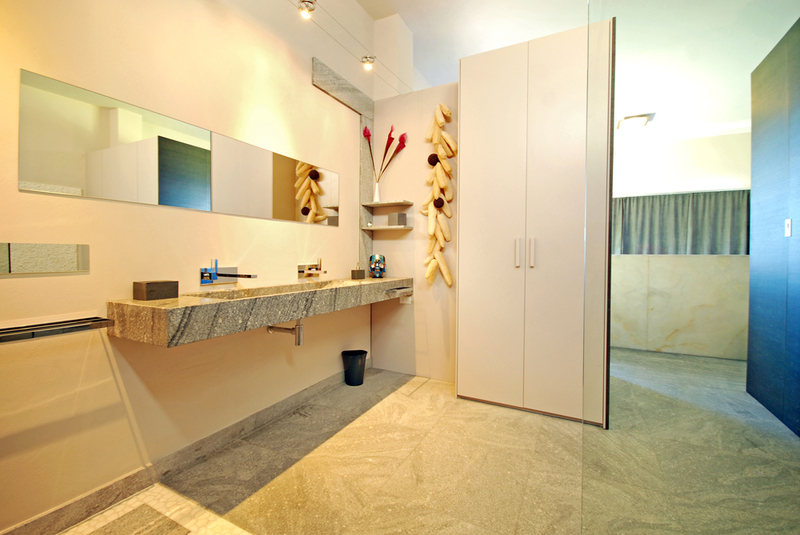 The bathroom countertops and sinks are one piece with a smooth mat finish and the floors have a sand blasted finishing. 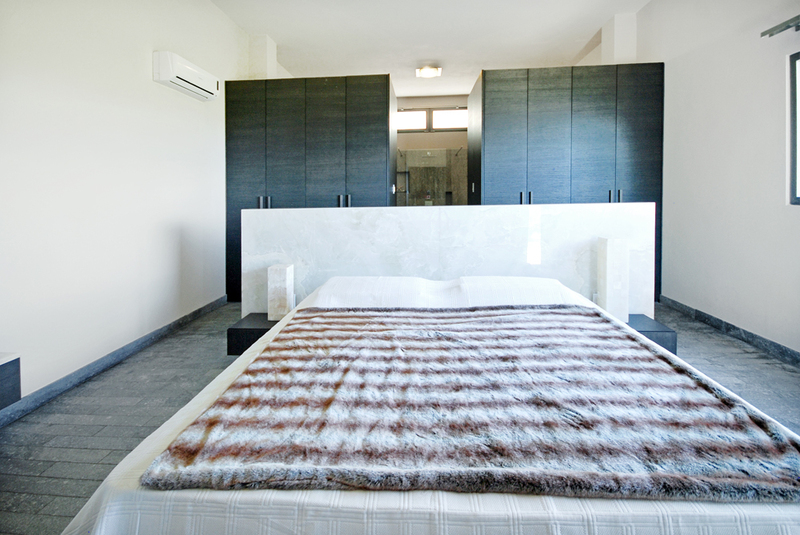 The kitchen is entirely furnished and equipped with the best quality German made appliances from “Hacker” and includes induction cooker, refrigerator, freezer and dishwasher…Every worktop is carved out of granite and carefully finished. 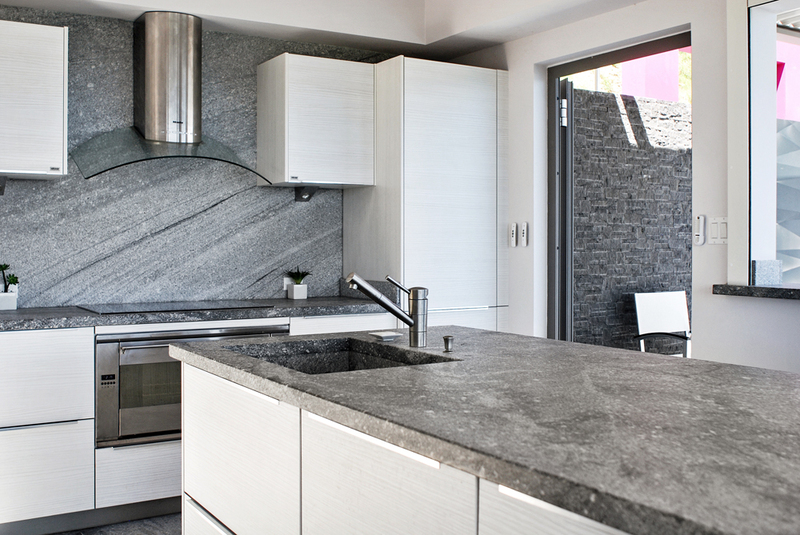 The kitchen has a large central worktop made of smooth granite in which the sink is integrated. 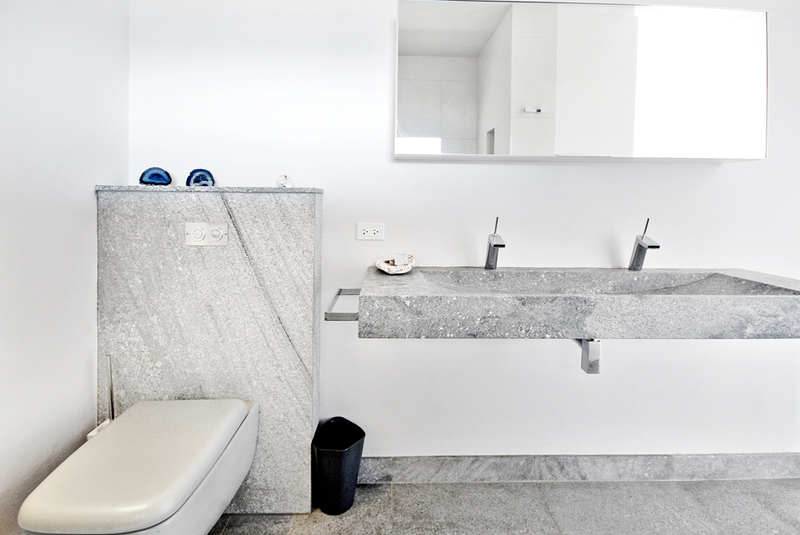 The other kitchen counter tops are of fancy blue flamed granite. 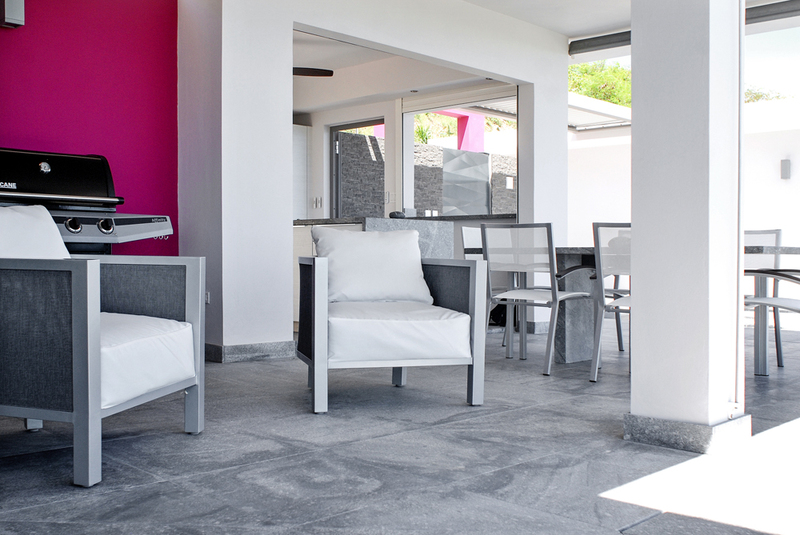 The kitchen faces the dining room area with a table for 8 persons and opens onto the terrace and pool area, with its own cocktail bar. 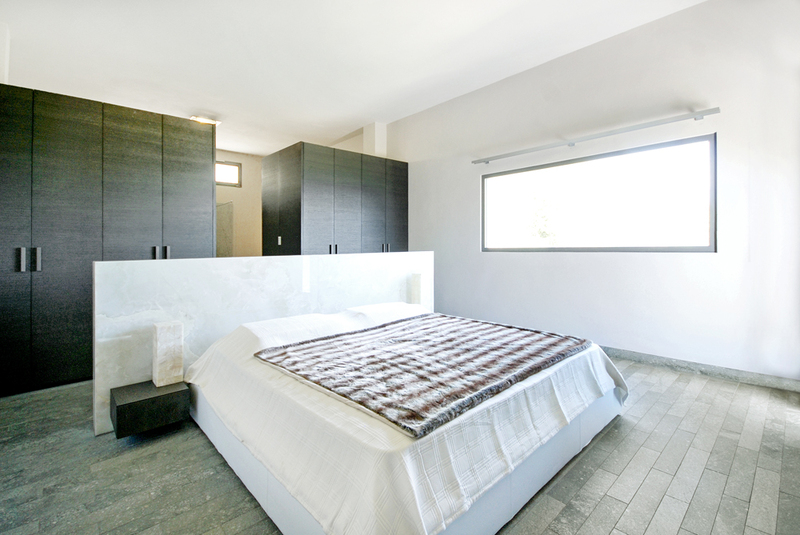 Master Bedroom 1 – Direct access to the terrace & pool area. 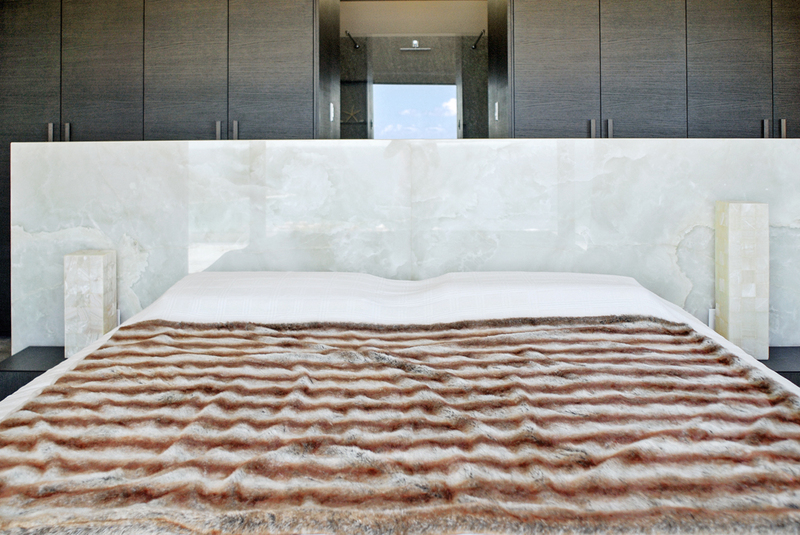 Offers fabulous ocean views, king bed with a natural stone Onyx headboard and integrated with LED lights which reveal and beautify the incredible forms and colors of the Onyx, air conditioning, large closet and personal safe. 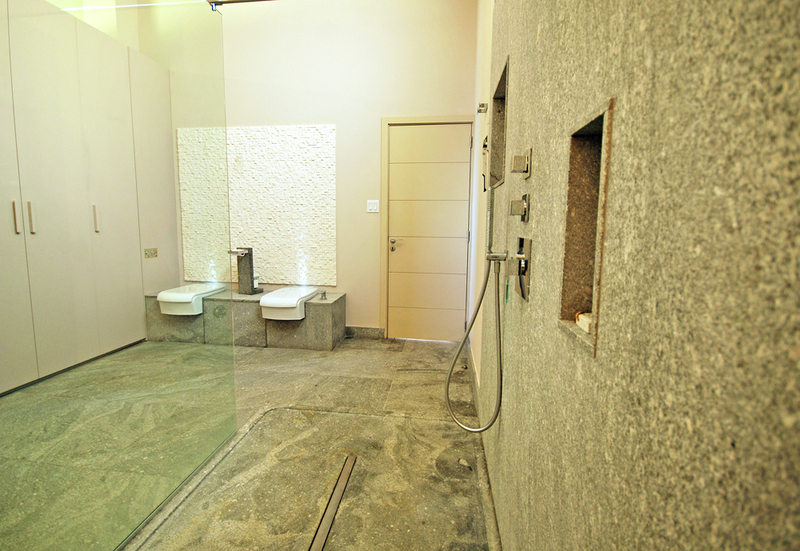 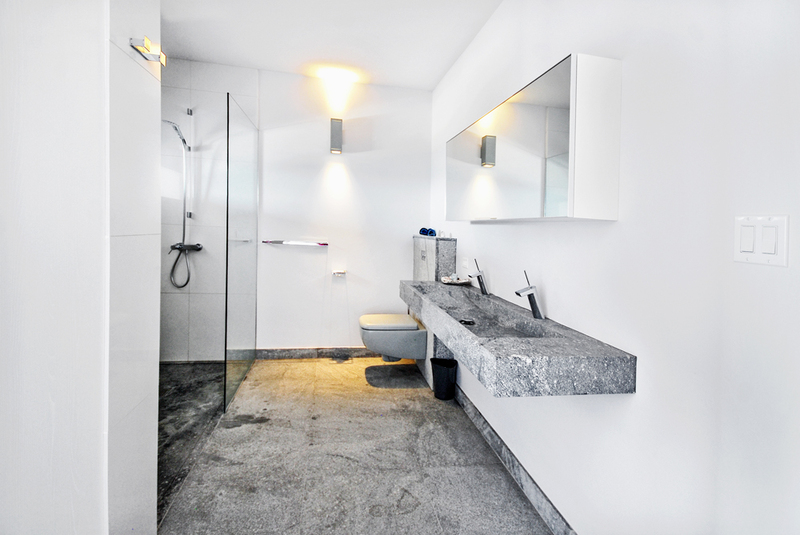 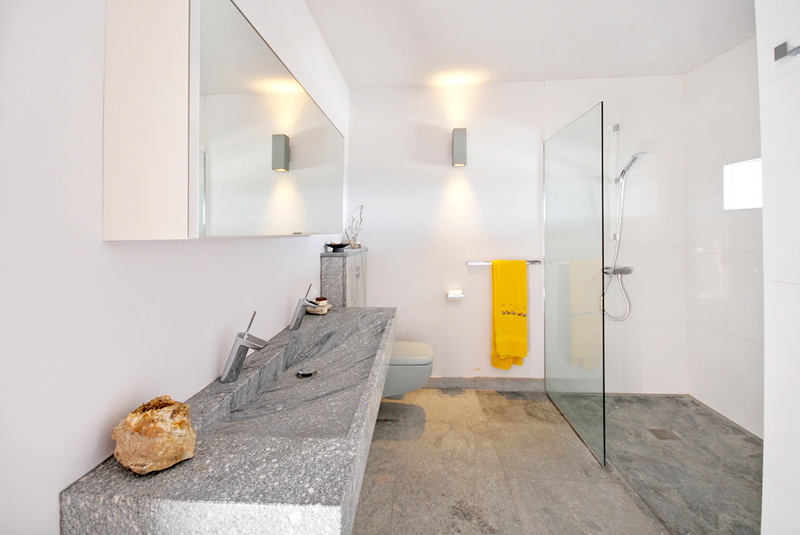 The en-suite bathroom with double faucet and large shower are carved out of natural stone. 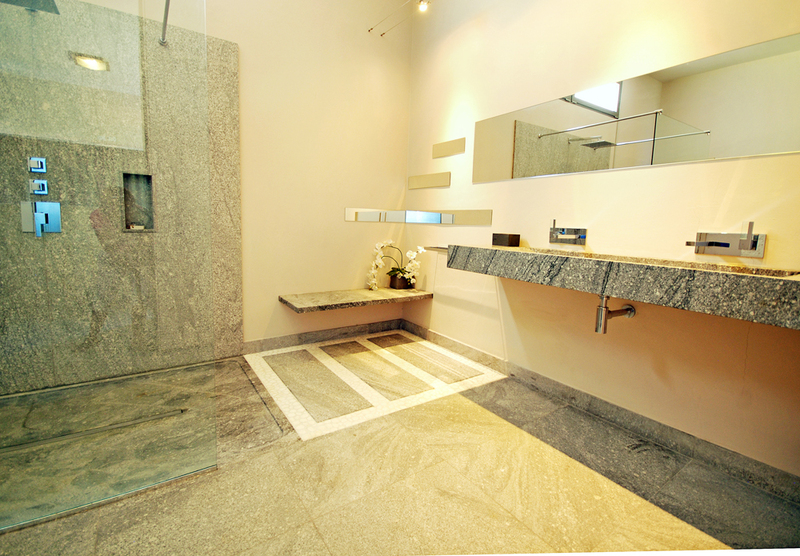 The bathroom also has a Bidet. 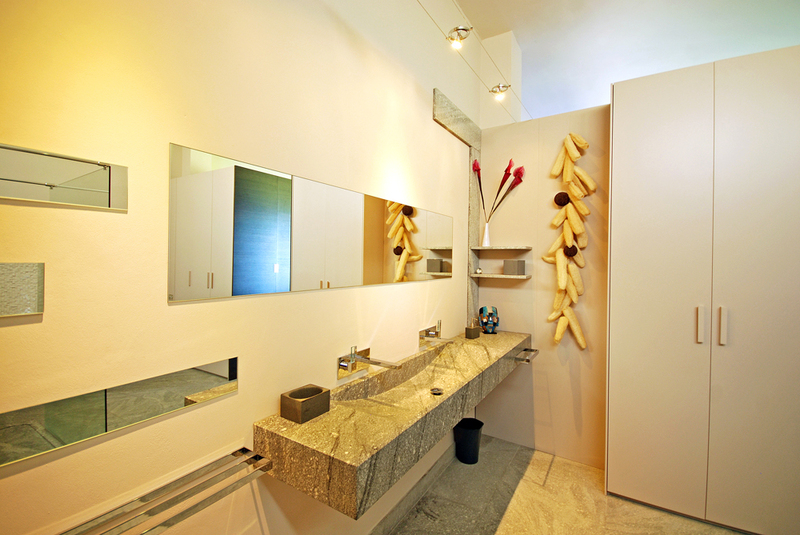 It’s mirrors and Japanese style steps lends to its Oriental touch and Spa atmosphere. 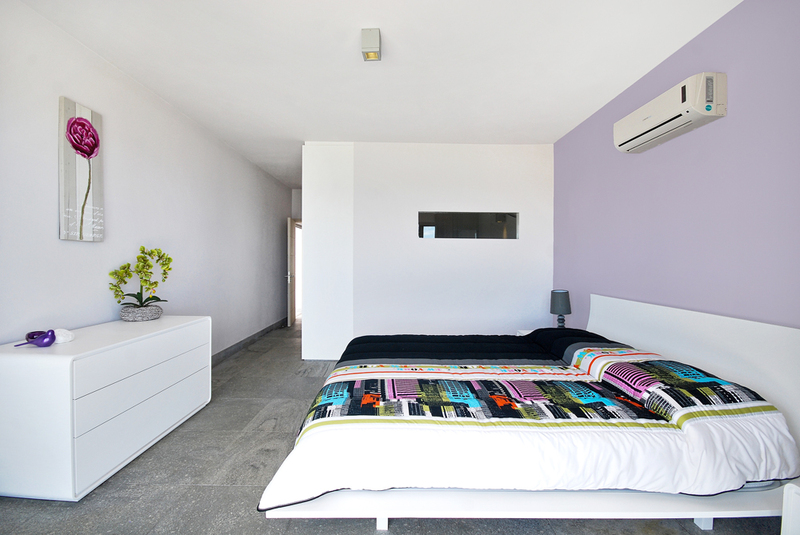 Bedroom 2 – Direct access to the terrace and pool area. 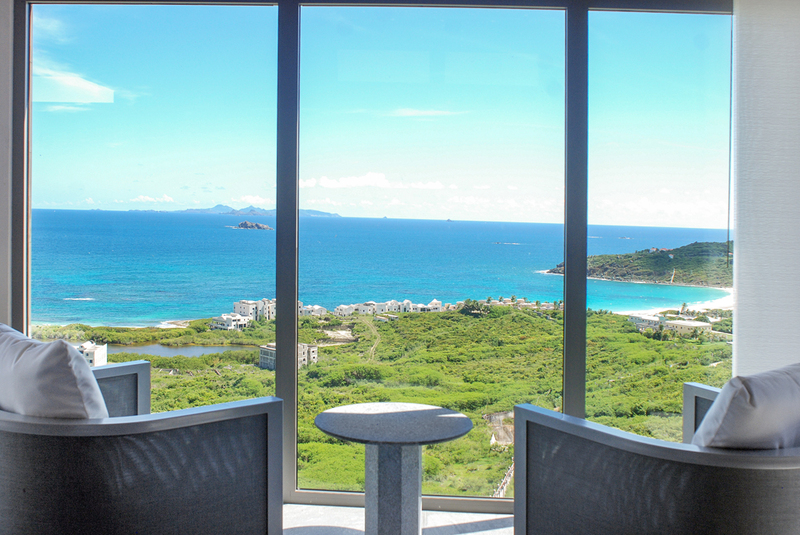 Offers fabulous ocean views, European queen bed, air conditioning, personal safe, closet and en-suite bathroom with double faucets and shower, all carved out of natural stone. 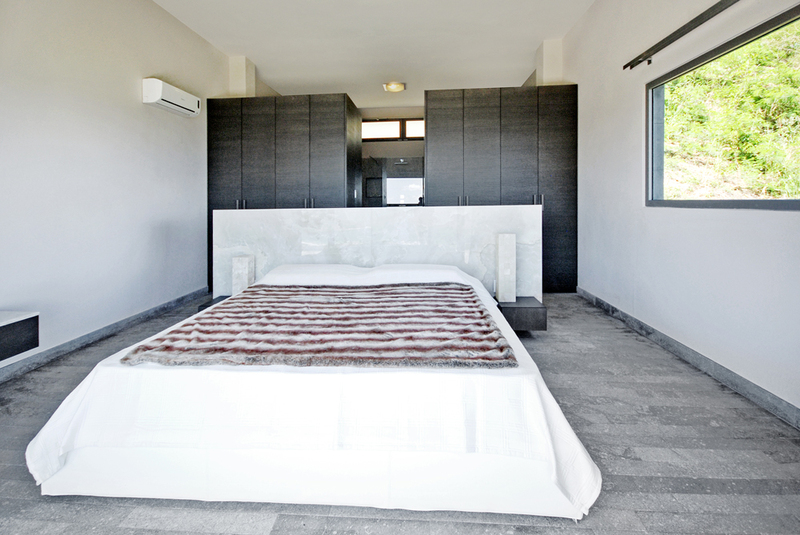 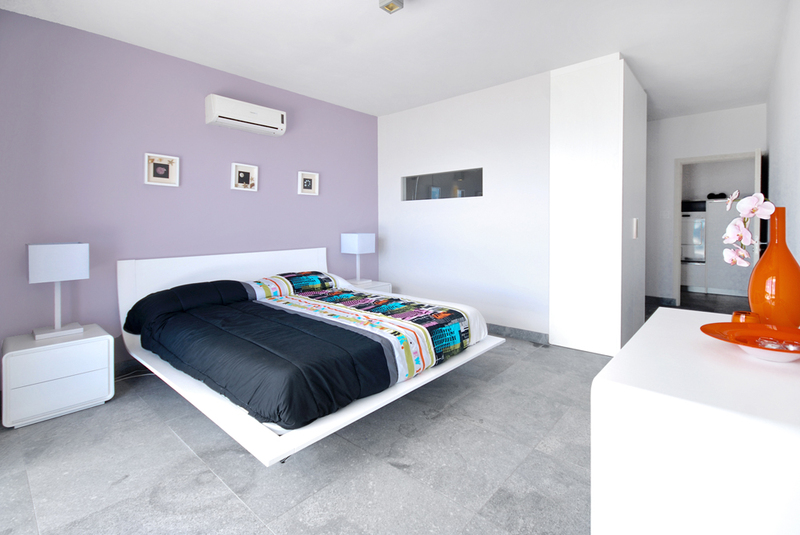 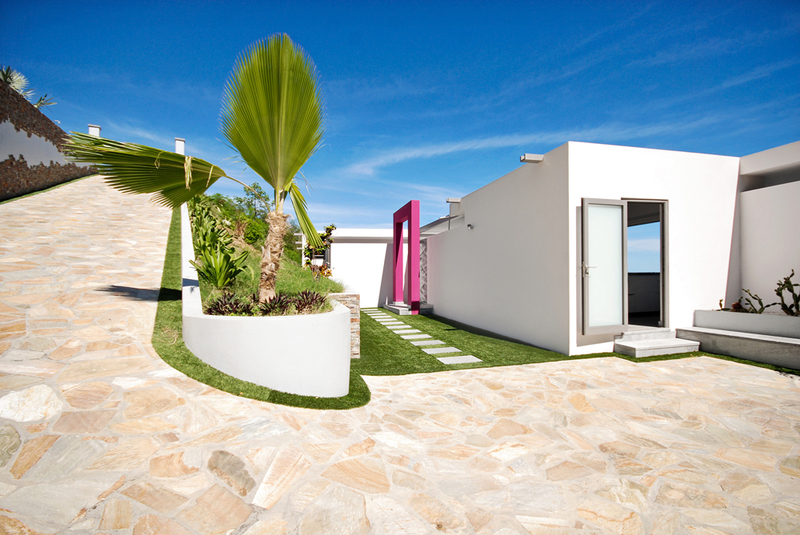 Bedroom 3 – Direct access to the terrace and pool area. 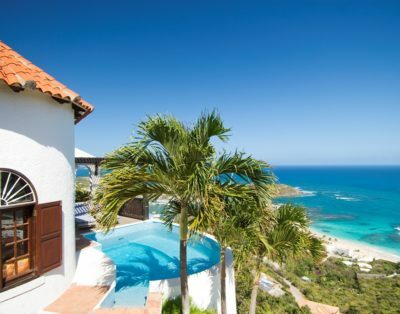 Offers fabulous ocean views, European queen bed, air conditioning, personal safe, closet and en-suite bathroom with double faucets and shower, all carved out of natural stone.